Kinect accuracy — Immediately upon starting the game and for the duration of my playtime, the Kinect felt incredibly accurate without requiring me to try too hard. It’s nice to see how the technology has improved and to be able to interact more seamlessly without struggling. The bow motion to pause the game was the one and only gesture that at first felt incredibly awkward. After paying more attention to the load screen tool tip, however, even that became second nature. Nothing like chopping fruit with deadly accuracy. Variety of activities — Fruit Ninja Kinect 2 features many game modes that change the core goal of slicing up fruit. In the Festival Mode, one challenge has the player dodging a shuriken-firing bullseye for a few seconds while dicing fruit. Another mode has the player dodging persisting spotlights while, you guessed it, cutting fruit. For those that may not enjoy the extra festivities, Zen Mode in Quickplay is there to allow you to blissfully chop fruit in style. There are seven modes available to play in single player as well as multiplayer. Unfortunately, I did not have the opportunity to play multiplayer with friends, but doing so may extend the life of this title. The game feels a little hollow — For a brief period of time, players play to unlock the various modes in Festival. After that, there really isn’t much left to do other than unlock optional stuff and cut more fruit. At least there is an intrinsic sense of fulfillment that comes from slicing fruit, but the game’s provided motivation is otherwise lacking. 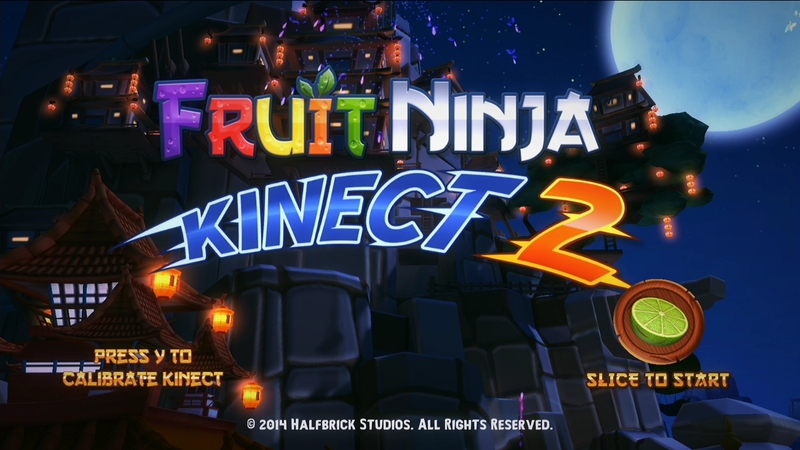 If chopping up fruit in style is your idea of fun, Fruit Ninja Kinect 2 will deliver in full. The core gameplay is pleasant and relaxing and will bring hours of enjoyment to chopping enthusiasts. It’s unfortunate that I didn’t have the opportunity to play with another person, because the multiplayer looks promising and has an option to cooperate or compete against people in a local environment. The incentives provided by Fruit Ninja Kinect 2 are a bit lacking, so players will have to bring with them their own desire to have fun chopping fruit. Still, a great Kinect experience is ready to be had here. Achievement Notes: While I did not have time to fully obtain all Achievements, most of the ones I did have been very easy to unlock. Some Achievements require commitments such as reaching level 30, which means completing 90 objectives across all game types. A few words of warning: there are at least four Achievements that require multiple people, and there is no online play available to help you unlock them. 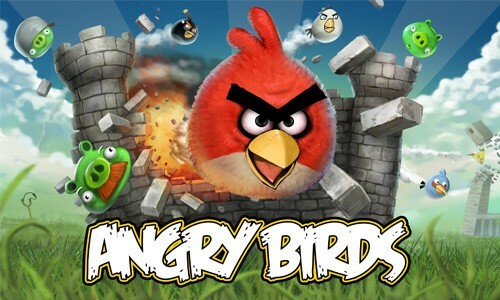 Angry Birds coming with Kinect support on XBLA?